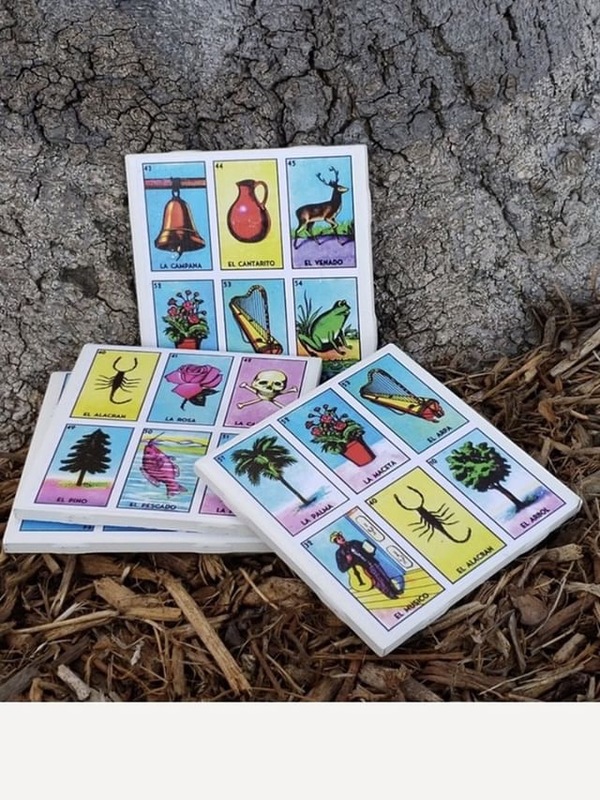 Includes all of the following: A Set of (2) Loteria Coasters a Lotería box game set with 10 game boards, a deck of 54 cards and a set of 80 game markers. This themed box will also include some of your favorite Mexican candies. To make it extra fun your Lotería box will include frijoles (beans) for you to use as your traditional game markers.